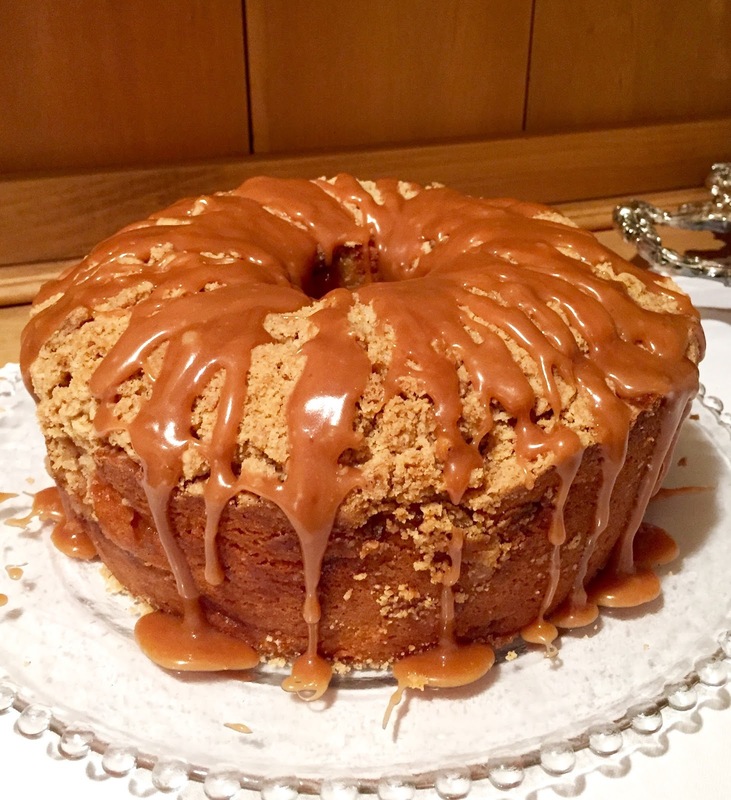 Fall at it’s best with fresh picked apples baked in a rich pound cake with crumb topping and caramel drizzled on top. Richly flavored with just a hint of orange juice, cinnamon and crisp tart apples. I used Granny Smith Apples in this cake for their tart flavor along with a firm consistency after baking. In this cake I want to bit into the apple with each bite as if I just had reach up picking the apple right off the tree. As gorgeous as this cake looks it is quite easy to make. Delicious, dazzling, easy to duplicate, what could be better. 1. Preheat oven to 350 F. Grease tube cake pan and set aside. Sift together flour, sugar, salt and baking powder. Place in a large mixing bowel making a well. 2. Combine oil, orange juice, eggs and vanilla. Pour into center of well and beat for three minutes. 3. Combine sugar and cinnamon in small bowel and set aside. 4. Pour third of batter into prepared pan, add half sliced apples and half cinnamon-sugar. Cover with half the remaining batter. Top with remaining apples then cinnamon-sugar. Add remaining batter on top. 5. Combine ingredients for crumb topping blending until thoroughly combined. A pastry blender works best to make the crumb topping but you can cut butter in with two knives. 6. Sprinkle over cake. Bake 1 hour 30 minutes or until tester comes out clean. 7. Cool for 1 hour before removing from tube pan. 8. Make caramel sauce: In a medium saucepan over medium high heat combine the sugar with 1/4 cup cold water and stir to combine. Cook, without stirring, until the sugar has turned a deep amber color about 10 minutes. Meanwhile warm the cream in a small saucepan. When the caramel is ready, slowly, whisk in a warm cream and continue simmering for another 2-3 minutes until the mixture is smooth. 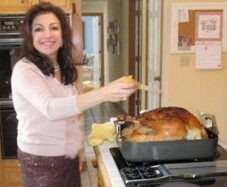 Remove from heat, then whisk in the butter,, and then salt. Slowly drizzle over cake. Serve with Vanilla ice cream or just plain.